Reality Wanted got up close and personal with Nigel Lythgoe, Paula Abdul, choreographer Stacy Tookey and all the contestants of Season 12. WE went backstage moments after the first live show and this year's dancers shared what moment meant the most to them as they realized their childhood dreams. If you want some inspiration then check out these videos....it will make you hungry to go out there and do what it takes to make your own dreams a reality. This is the week that brought us the top 10 dancers for season 11 so there was tension in the air as four dancers would be going home. 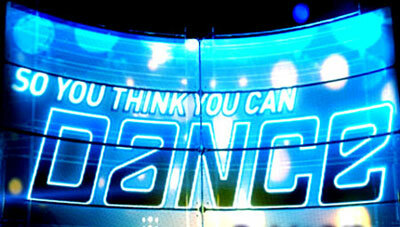 We were lucky enough to interview all Top 20 dancers for this season of So You Think You Can Dance the day the announcements were made. The new cast shared how they felt about "making it", shared casting tips and hints, gave inspirational stories of never giving up (auditioning for four years until they made it) and discussed how they felt about their first week pairings. Check out the interviews and make sure you subscribe to our Youtube channel to be the first to get those insider tips on castings and shows. SYTYCD: Callbacks Week and Top 20! Apparently what was previously known as "Vegas Week" is now known as "Callbacks Week". We meet Nigel and Mary, along with Adam Shankman, Twitch, Tara Lipinski and prima ballerina Irena Dvorovenko as judges in Pasadena. There are 157 dancers at callbacks starting with their solos (no feedback after they dance) followed by choreography rounds and eliminations after each. The only solos we see are ballroom dancer Tanisha Belnap, 20, UT and hip hop dancer Steven Kador, 27 from Louisiana who's girlfriend is giving birth while he is dancing in California.